The Japanese Fubuki class boasted twenty-four units and was the world’s first modern and powerful destroyer class. 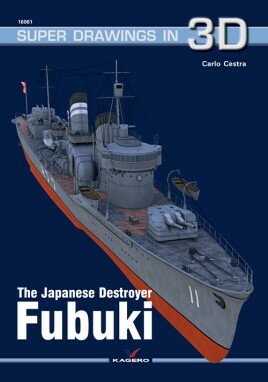 Her lead ship was the Fubuki, previously named destroyer no. 35, who was a veteran of many battles in World War II in the Pacific Area. Fubuki class was part of a program intended to give the Imperial Japanese Navy a qualitative edge with the world’s most modern ships.